Are you looking for a unique and easy read this holiday that all family members can enjoy? Is a beautifully written book full of inspiration and hope. The author is an Iraqi woman detailing life in Iraq as the war started and her journey from a war torn world to beautiful America. A truly inspirational story! Today marks the first day of my book being LIVE! 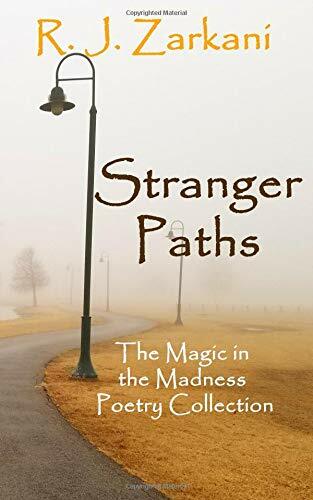 Stranger Paths, The Magic in The Madness Poetry Collection Paper back can now be ordered on Amazon ! I am beyond excited!!! I designed the cover using Photoshop and a photograph I had taken on a beautiful foggy winter day. Used KDP to self publish and here we are! If you have any questions about self publishing, do not hesitate to ask! This book is 10 years in the making, maybe longer. Starting from the Iraq war and my childhood, to moving to America and living the best life I could. It is a spiritual journey about war, hope, and inspiration. I am overwhelmed with community support and so grateful to be a part of this world. A world where an Iraqi woman can have a voice. This is so much bigger than a book being published!